Online retail has completely changed the way we buy, increasing accessibility to products exponentially. This model has made the traditional brick and mortar retail space nearly irrelevant. They simply cannot compete, because someone else can offer is cheaper, easier, and faster online. So what can the location provide that an online experience cannot? A chance to interact with a customer in a unique and educational way. AT&T’s flagship store emulates the idea of taking retail space to the next level by becoming centers for interaction, education and discovery. Part premium customer experience, part laboratory, the store provides an opportunity for customers to experience cutting edge technology and explore it in an entertaining way. One of these features is an interactive museum that talks about brand heritage and the history of innovation via virtual tour guides. Customers can also play video games on the latest devices and sample interactive technology. AT&T’s number one objective is not to sell mobile phone contracts in-store, but to educate and excite the customer. Pop-up shops, temporary rotating retail spaces, are another new idea. The pop-up model offers spontaneity, wonderment, and serendipitous opportunity to explore in the retail space. They are playgrounds for our minds, and allow customers a chance to play and familiarize themselves with a brand. 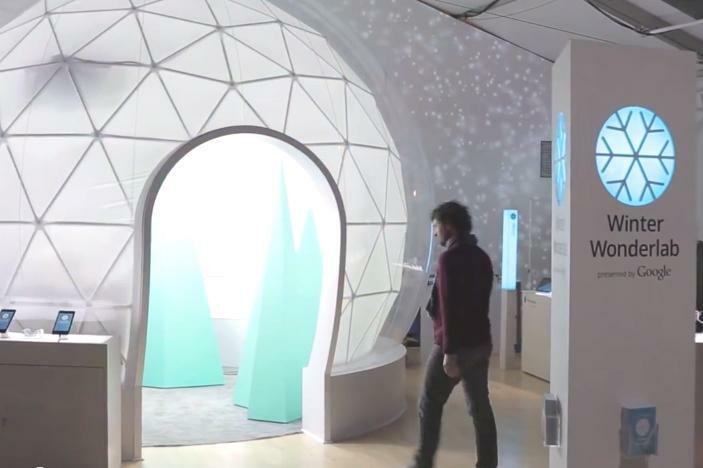 A great example is Google’s Winter Wonderlabs a series of rotating pop-up retail spaces where potential customers can discover the latest Chromebook by entering into a huge snow globe (snow included) in which they can take slow-mo videos of themselves to keep and share. Retail locations can also function as community hubs, places for like-minded individuals to gather, participate, and grow. Adidas is rolling out a new concept called “RunBase” which serves as a great example of this. 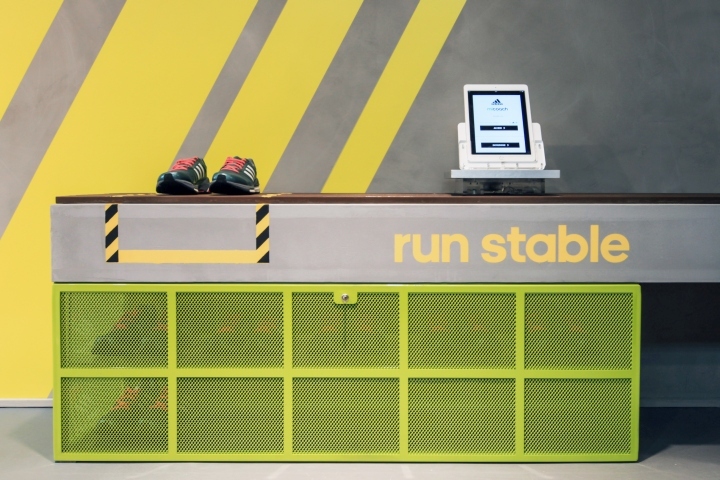 Consumers are greeted with an interactive digital space and offered free changing rooms, lockers, and showers along popular running routes in cities like Boston, Tokyo, Moscow, London, São Paulo, Prague, and Stockholm. The future of brick and mortar retail is poised for innovation. We are excited about the creative trends we see emerging which allows for more human interaction, offering a place to explore, receive quality education, and participate. This allows brands and retailers to focus on what matters most in a retail experience – creating loyal and lasting customer relationships. Retail is not dead; it’s just reinventing itself.